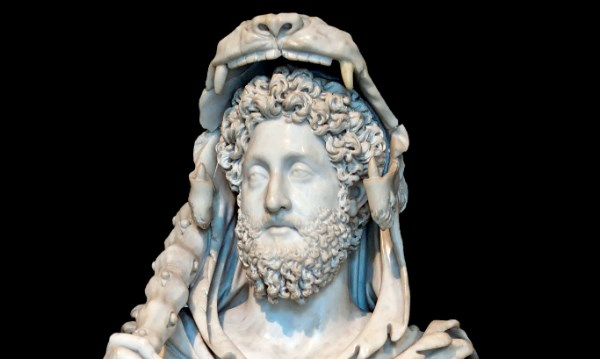 On November 27, 177, Emperor Marcus Aurelius granted his son Commodus the rank of “Imperator” and makes him Supreme Commander of the Roman legions. 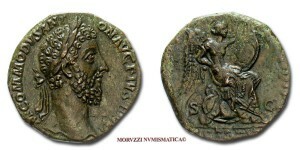 This marked the start of Commodus´ rule, first as co-emperor with his father, and solely after his father´s death in 180. His accession was the first time a son had succeeded his biological father since Titus succeeded Vespasian in 79. He was also the first emperor to have both a father and grandfather (who had adopted his father) as the two preceding emperors. 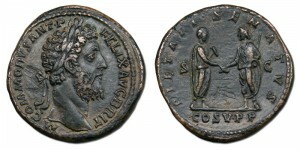 During his solo reign, the Empire enjoyed a period of peace and reduced military conflict compared to his father´s reign but intrigues and conspiracies abounded, leading Commodus to an increasingly dictatorial style of leadership that culminated in a God-like personality cult. He pretended once that he was going to Africa, so that he could get funds for the journey, then got them and spent them on banquets and gaming instead. He murdered Motilenus, the prefect of the guard, by means of poisoned figs. He allowed statues of himself to be erected with the accoutrements of Hercules and sacrifices were performed to him as to a god. He had planned to execute many more men besides, but his plan was betrayed by a certain young servant, who threw out of his bedroom a tablet on which were written the names of those who were to be killed. He practised the worship of Isis and even went so far as to shave his head and carry a statue of Anubis. He desecrated the rites of Mithra with actual murder, although it was customary in them merely to say or pretend something that would produce an impression of terror. 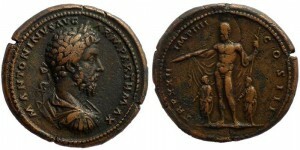 His assassination in 192 marked the end of the Nerva–Antonine dynasty. He was succeeded by Pertinax, the first emperor in the tumultuous Year of the Five Emperors.